RRB Malda Recruitment 2019: Railway Recruitment Board releases various vacancies Notification regarding RRB Malda Recruitment. The Railway Recruitment Board of Malda has announced the several posts such as NTPC, Paramedical, Ministerial and Isolated Categories, and Level 1 Posts of the Railway Department. Candidates who are interested in the available posts can apply RRB Malda Paramedical Recruitment 2019 Application Form via online mode until the last date. 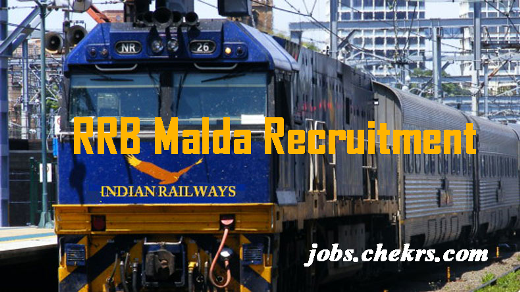 You can gather the latest updates of RRB Malda Vacancies like age limit, education criteria, selection Process, application fee, how to apply for the application form and more details from our page. Interested candidates who are waiting for such openings in Government Sector can apply for Railway Malda Level 1 Posts Recruitment 2019 by sending application form through online mode. Railway Recruitment Board, Malda initially started as Railway Service Commission in the year 1984 and thereafter, it was named as Railway Recruitment Board, Malda in the year 1985. Railway Recruitment Board, Malda status to the need of recruitment for Group ‘C’ staff for some Divisions of Eastern Railway, South Eastern Railway, Northeast Frontier Railway and Production Unit i.e. Chitta Ranjan Locomotive Works. The office is headed by Chairman, Assistant Secretary, and other staff constitutes the office of RRB, Malda. Before applying for RRB Malda Recruitment 2019, candidates can fulfill the essential requirement for particular posts. So whenever there is information about any recruitment, we will publish notifications so that you can read the official notification carefully. Candidates should be following these eligibility criteria which are given below. The candidate’s minimum age should be 18 years and the maximum age limit should be 45 years. The candidates falling under reserve categories gets age relaxation such as 5 years for SC/ ST category candidates and 3 years for OBC category candidates. Besides this Website, the Employment Notices of RRBs are published in the Employment News. Before applying for a particulars post, the candidates must go through the contents of the Employment Notice carefully so that they can ascertain their eligibility for the post in question and fill up the application form in a flawless manner. Interested candidates need to go to the official website of the RRB Malda i.e. www.rrbmalda.gov.in. Search the “New Registration” Link and click on it. Candidates should fill the all required details and click on submit button. The system will generate the registration number and password. Candidates should save it for the 2nd registration process. In the Registration part-II, enter the registration number and password which will be generated by Registration Part-I. Candidates must upload their photograph and signature in the described format. Finally, before submitting the application form, candidates have to check all the entries made by their or its correctness. After registration, candidates should pay the required application fee. Candidates are advised to keep a copy of application form for the future reference. Keep regularly visit our web portal www.jobs.chekrs.com for getting updates about Current Railway Malda Recruitment 2019 and bookmark our page for quick access. As soon as the latest information about RRB Recruitment will available on our page, so you need to stay connected with us. You can also bookmark our page to get information related to Latest Govt Job in Railway. You can give your feedback to the comment box that is given below.